Recently, GrabTaxiPH keeps on changing its strategy to help its ever-growing clients and partners. One is how they handle the promo codes. Just like today, the GrabCar Promo code exclusively available till 12 midnight is set. You can use the GrabCar Promo code: "FREAKY" and enjoy PHP50.00 discount for your fixed GrabCar rate. 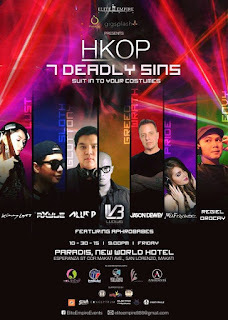 You can use this code to go to your Friday night out, or enjoy the night at Paradis Manila as HKOP 2.0 takes place 9PM tonight!